Mark's portraits are beautifully executed! I just called my mother crying into the phone because this is not just who she is today but you can see her depth and who she will be later. HE IS AMAZING! Mark’s ‘Elise’ is a breathtaking likeness that will give us joy every day. His unmatched work exudes compassion, understanding and artistic genius. 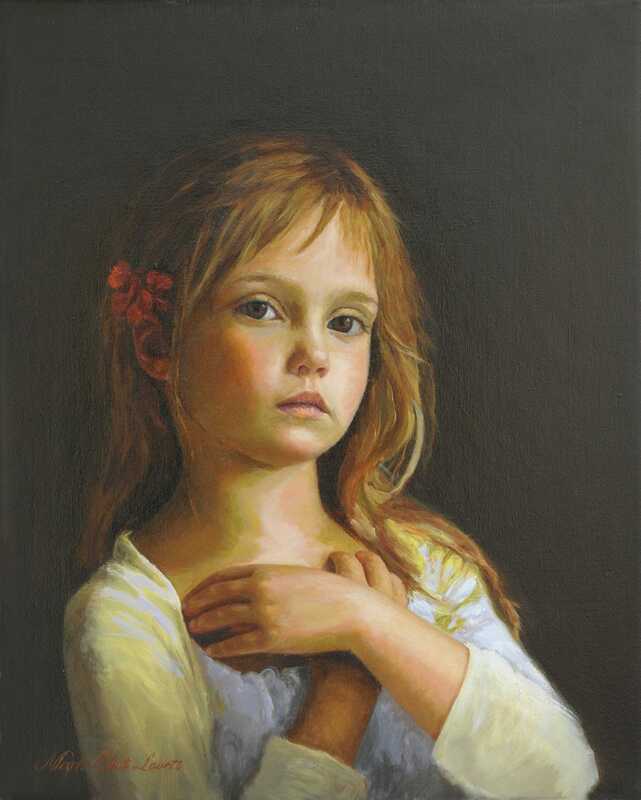 Capturing a women and child in oil on canvas is an extremely difficult thing to do.......and Mark has the gift! 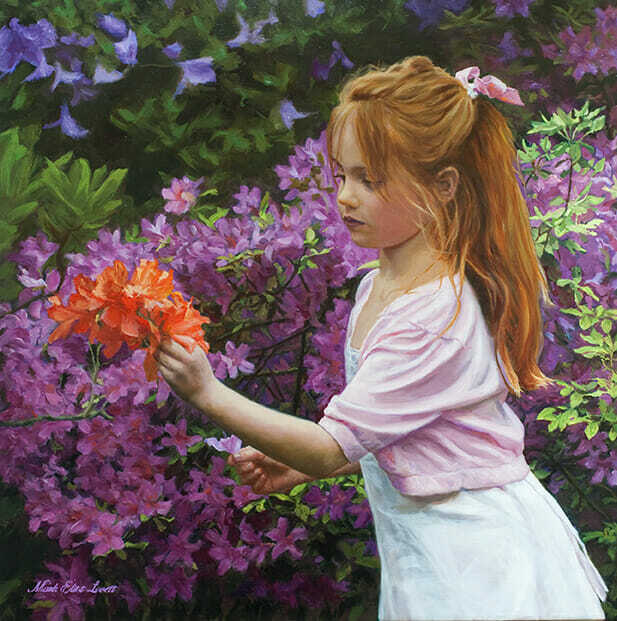 Mark E. Lovett is an international, award winning portrait artist and master oil painter. He is an associate living master at ARC (Art Renewal Center), and is represented by Rehs Gallery NY, NY. Mark accepts oil portrait painting commissions from clients around the world, and his work has been featured in numerous publications including Bethesda Magazine, Capital File Magazine, Washington Spaces Magazine, Gulf Connoisseur Magazine Dubai, Washington Parent Magazine, Managed Futures Today Magazine and others. Some of Mark’s portrait clients include: Congressman Bill Livingston, Forrest Whitaker (Academy Award Winning Actor), Gregg Allman of Allman Bros Band, Terraforma, Lendlease, SunEdison, Broadsoft, Martek Global, designDATA, Boland. “Getting your portrait painted is trendy again. Once considered a relic of the photography era, the art of portrait painting is making a comeback” is a quote from a recent Bloomberg article. Capturing a person’s soul on canvas is an amazing, rewarding experience and has been my passion since 2000. Creating classic, fine art for families that will last for generations is my mission. An important part of the portrait painting commission process is getting to know the family. 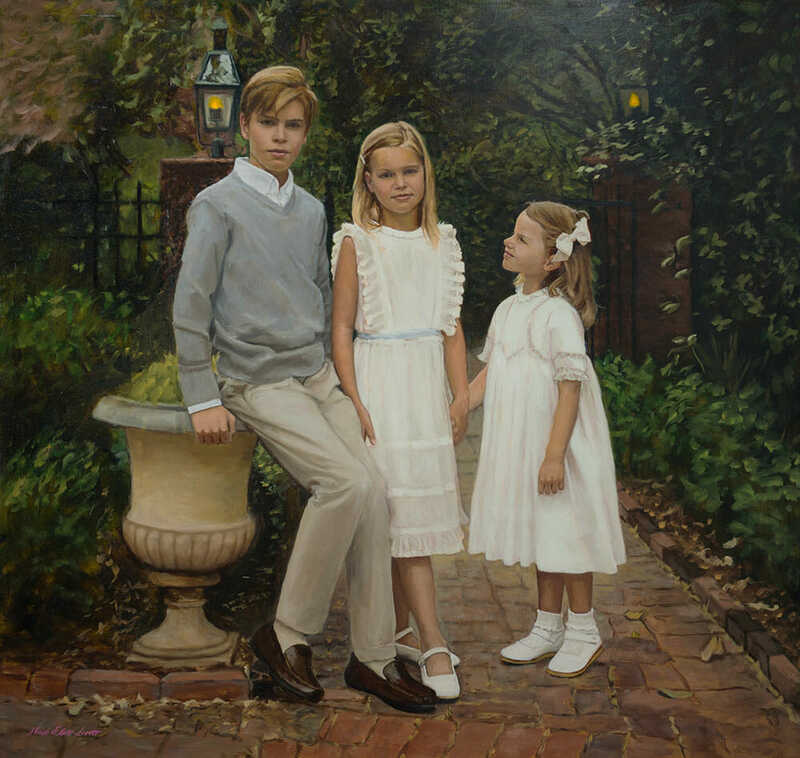 Recently I had the pleasure of spending two days with a wonderful Charlotte, NC family in preparation for the portrait painting of their beautiful children. Afterwards, I returned to my Maryland studio, stretched a canvas with the finest linen, and began the creative painting process. The creative process takes quite a bit of time, effort and faith. It’s an incredible challenge and I’m very blessed to experience the journey of creating a masterpiece from a blank, white canvas. Whether I’m commissioned by a client to recreate the Mona Lisa painting for his home gallery, or creating a family portrait of a loved one, I love what I do! 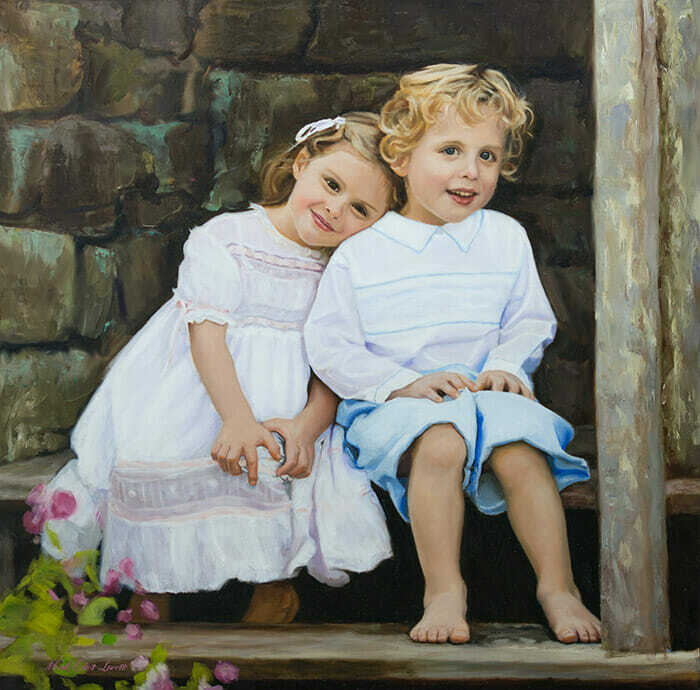 Are you considering hiring a portrait artist and commissioning a painting? If you would you like to learn more about the portrait commission process and read about a real life portrait commission visit “How To Commission a Portrait”. Make sure you consider these key points, and learn about the process, before you hire a portrait artist. To dig into the details of the portrait commission process visit “Portrait Commission Process & Pricing”. Get detailed answers to your questions such as: What do I need to know before selecting an artist? – How does the commission process work? – What should I expect to spend on my commissioned portrait? – Should the portrait painting include a frame? – Can you paint from a photograph? – What kind of photographs make the best painting? – What are the smallest and largest sizes you paint? – How long will it take to finish my painting? – How much does a commissioned painting cost? – Portrait Commission Agreement Considerations – And More!